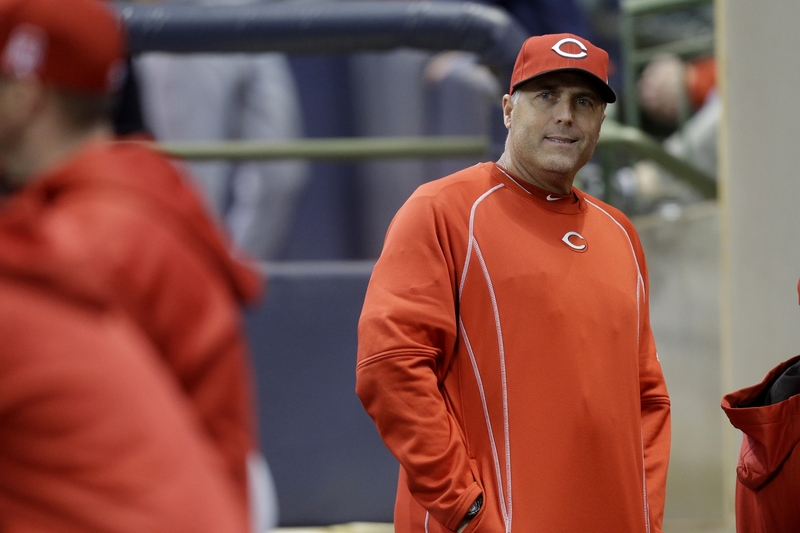 The profanity was not the worst part of Reds manager Bryan Price’s tirade in front of Cincinnati sportswriters. A day later, after he decompressed from the rage that caused him to drop 77 F-bombs in six minutes, after collecting his emotions, measuring his words and running them through the public-relations spin cycle, Cincinnati Reds manager Bryan Price issued an apology for his foul mouth. At best, it was odd his mea culpa was delivered via the very social-media pipeline that he stood against on Monday. He had complained that catcher Devin Mesoraco’s absence was reported on Twitter, thus telling the Brewers in 140 characters or less that he would not be available to pinch hit. And yet it was precisely the reporter’s job. Far more disturbing than Price’s epic rant, which some found pricelessly entertaining, was that he didn’t understand the role of the media. The guy is a big-league manager. He’s been around the media for years. But he didn’t know why reporters showed up in his office before and after every game? It’s mind-boggling. Cincinnati Enquirer reporter C. Trent Rosecrans was at the ballpark to relay newsworthy nuggets that others might find interesting. That’s what reporters do. It doesn’t mean the media passes along every conversation that takes place in a locker room. It’s not news when someone spits, sneezes or uses the restroom. But when a player is unexpectedly absent, that’s worth passing along to a public that demands more information than ever, faster than ever. Fans can’t get enough. The media shouldn’t be concerned with how it impacts one team or another. For Price to become angry, because reporting didn’t benefit his team, made him look like an amateur. Even in his apology, Price swung and missed. He should have been sorry for the content of the message, not a choice of words that could be heard on the average school bus. Price’s attitude has become all too common, particularly in pro sports. Many teams act like the media exists to serve them, to help them win, not inform the public. Lines separating them have been blurred in part because teams have their own websites, allowing them to control the information coming from within while carrying the company message. In some cases, they are financial partners who are portrayed as objective media. It’s particularly true in television and radio broadcasts. They may not be under direct orders from the team to say certain things, but many feel pressure to get behind the cause and avoid criticizing players, coaches and management at all costs. That, too, can come with a price. Let’s not forget websites in which like-thinking people, often working in anonymity, converge with others who have similar opinions and gather the masses for what they believe is the greater good. Often, they merely enable the very problems that need to disappear for their favorite teams to succeed. On the day he was introduced as the Sabres’ owner, Terry Pegula sat down with our editorial staff and complained how players such as Tim Connolly were subjected to too much criticism. Granted, it was Pegula’s first day. He was naïve. But his basic message was that the newspaper should be cheering for the team. Despite people dreaming up the contrary, the media also isn’t trying to contribute to teams losing. They’re passing along what they see, what they know, what they hear, no matter how good or how ugly. Too often, the same people who are desperate for information only want positive news and can’t stomach the negative. Rather than acknowledge the truth, many like Price lash out against the messenger. I’m not sure why. I’m guessing it makes them feel better. Perhaps, many like Price simply don’t understand how it works. Question: Aren’t you a Sabres fan? Q: So you don’t like the Sabres? A: That’s not it. I don’t care if they win or lose. Their success has little bearing on my life other than my work schedule. Q: But aren’t you from Buffalo? Q: So aren’t you a Sabres fan? Lord only knows how many times I’ve been accused of being opinionated. For that attempted insult, I say, “Thank you very much.” Many don’t realize it’s a compliment to columnists. We get paid to share our opinions. Ripping a columnist for having opinions is like criticizing a lawyer for being argumentative. It’s what we do. It’s why we’re here. Anyway, the media has grown so accustomed to management, coaches and players lying to them that they’re suspicious of everything. Most are naturally skeptical because their job is telling the truth, or their version of the truth, while reporting on people who will do or say anything to obtain results. Marv Levy told numerous fibs when he coached the Bills. He lied about his age when he was hired and continued as long as it served him until he left. Lindy Ruff misled the media numerous times, usually about injuries and especially in the playoffs. The same can be said about almost anyone in power for any team in any sport in any era. Did that make them liars and, therefore, bad people? Good heavens no. Levy and Ruff are terrific guys. They weren’t offensive. They were coaches. They’re like many others who were trying to win and believed the media interfered with that objective. Both sides were doing their jobs. Sometimes, they meet at an intersection. Sometimes, there’s a collision. Every so often, it comes with a Price.